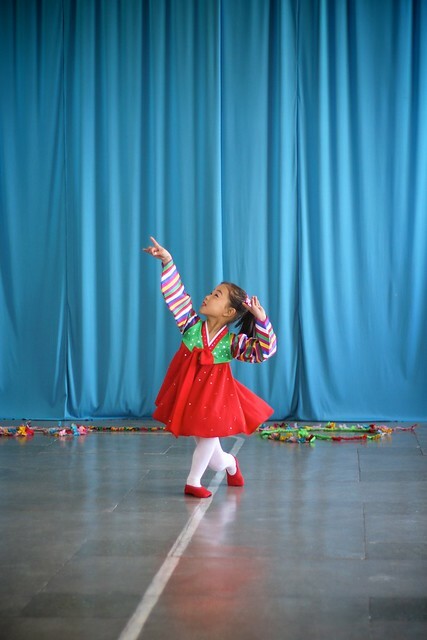 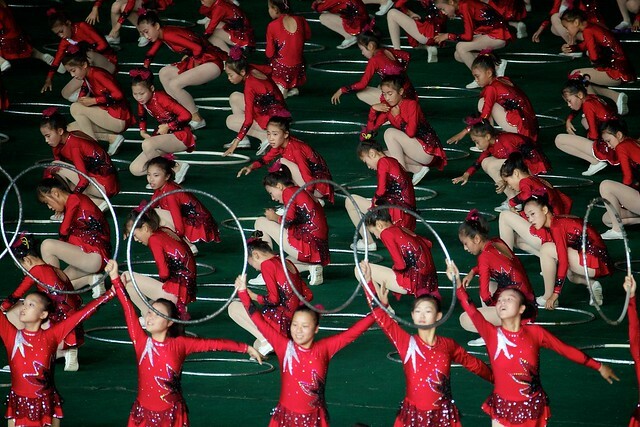 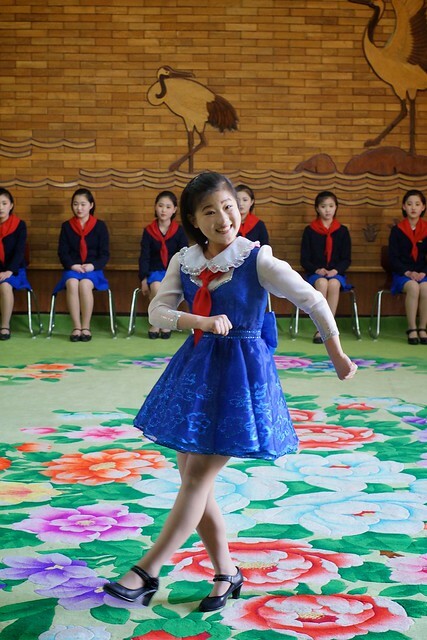 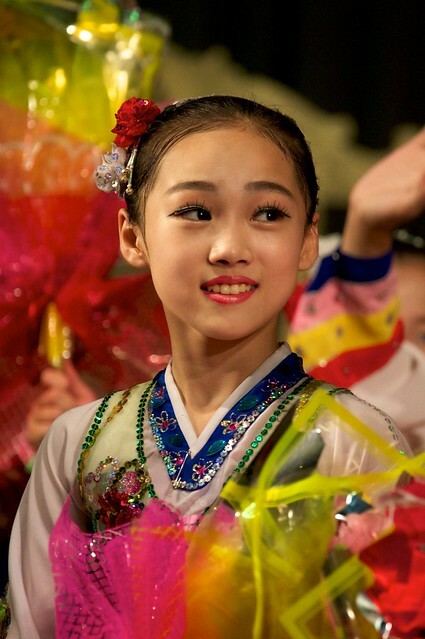 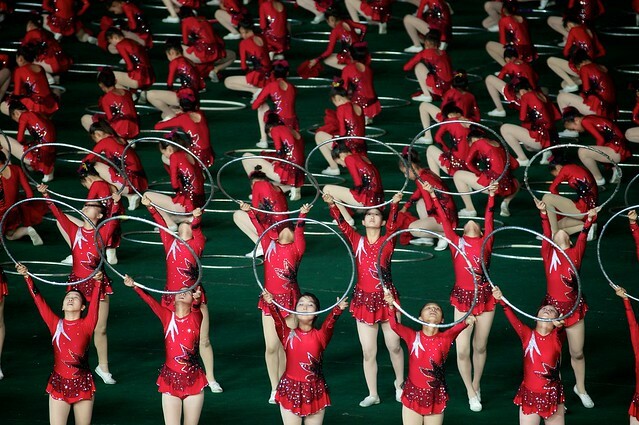 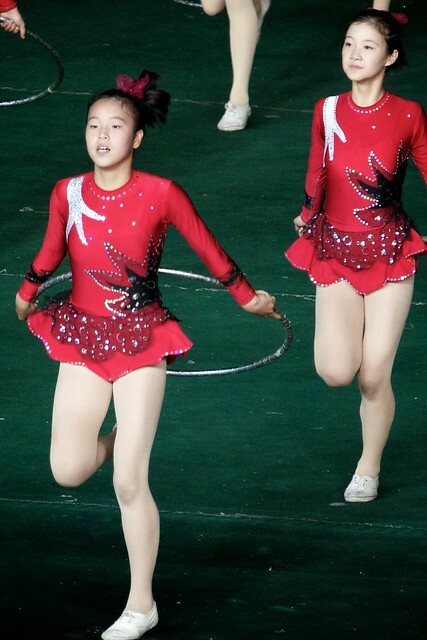 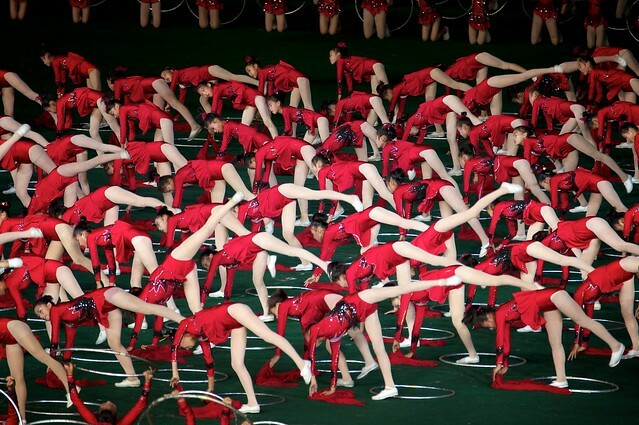 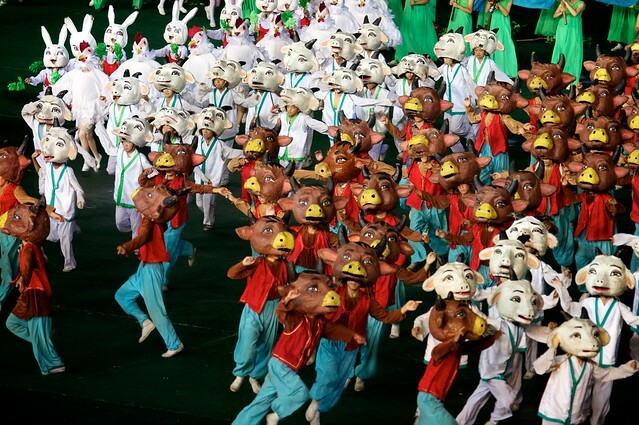 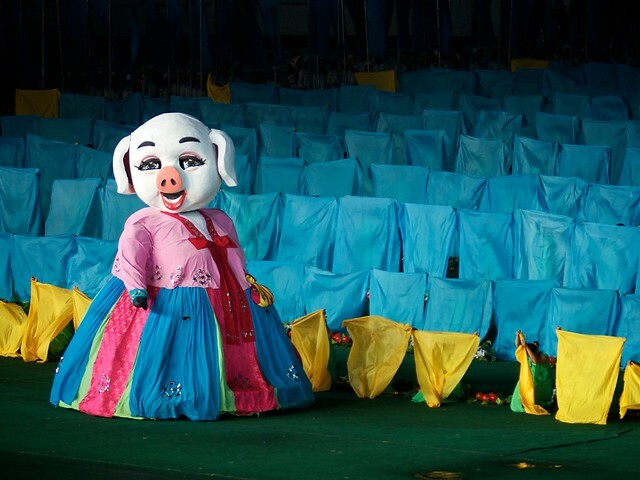 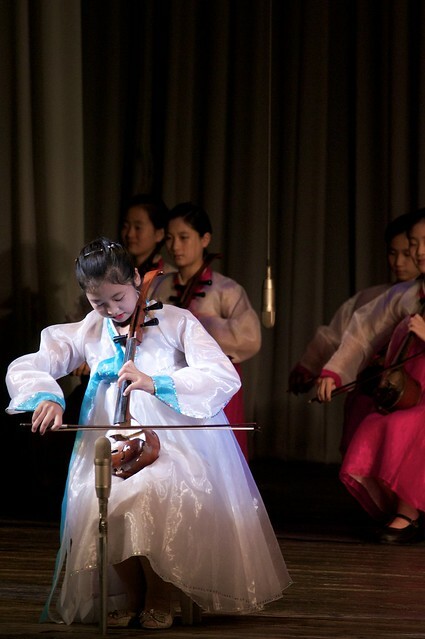 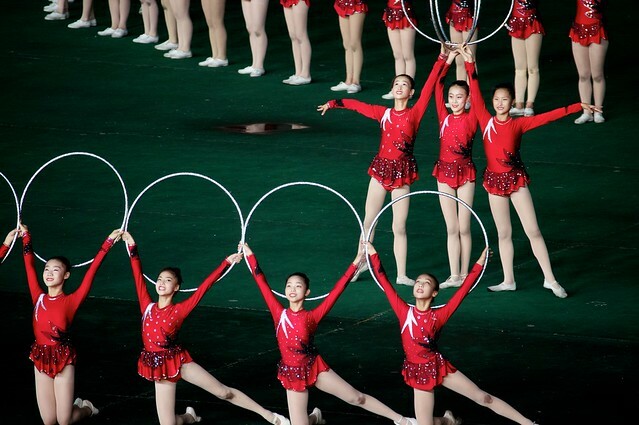 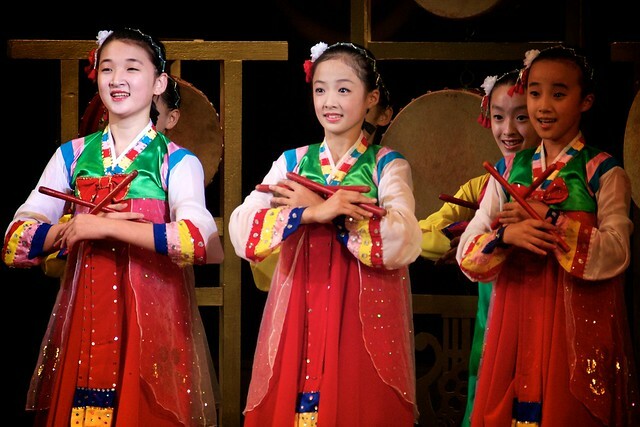 The Mangyongdae Children’s Palace; a place for children of the privileged elite to spend time after school practicing sports, art, folk dance and music – and of course, show it all off with military like precision and forced smiles to groups of visiting foreign friends and tourists. 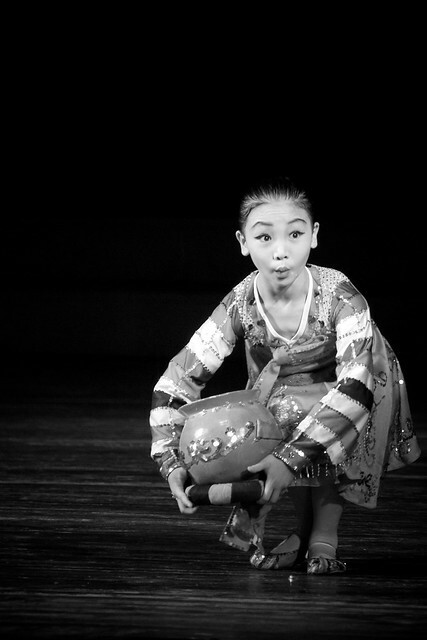 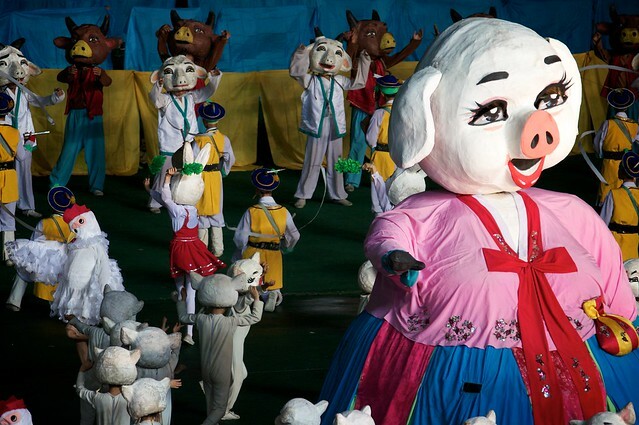 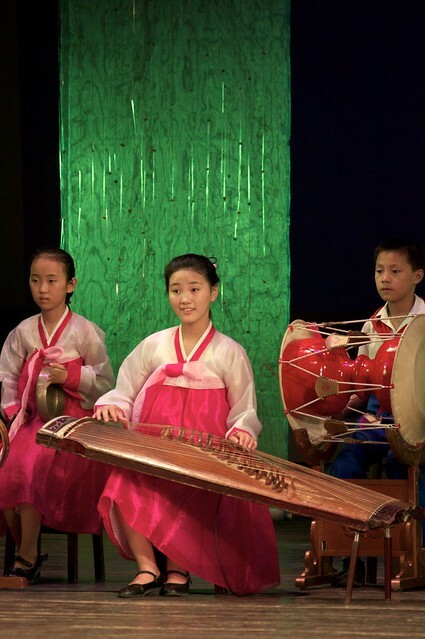 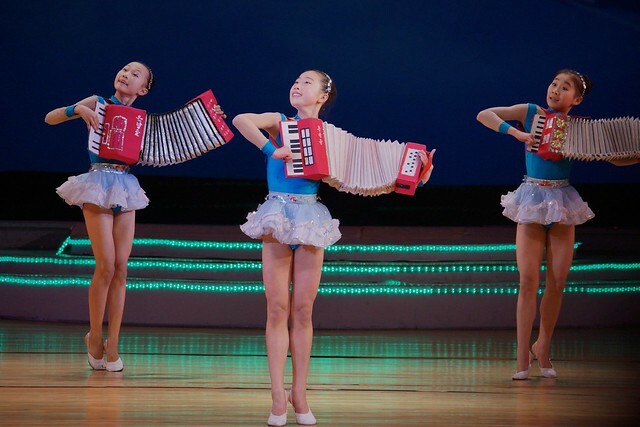 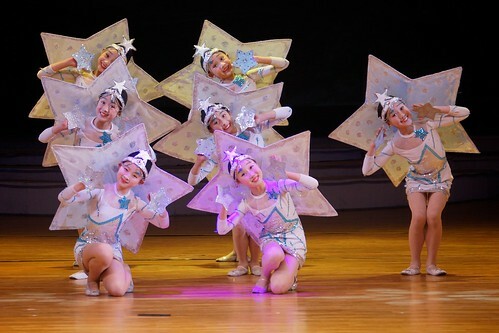 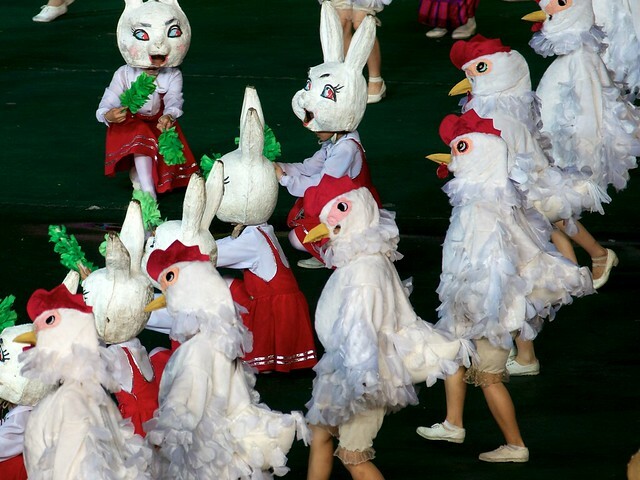 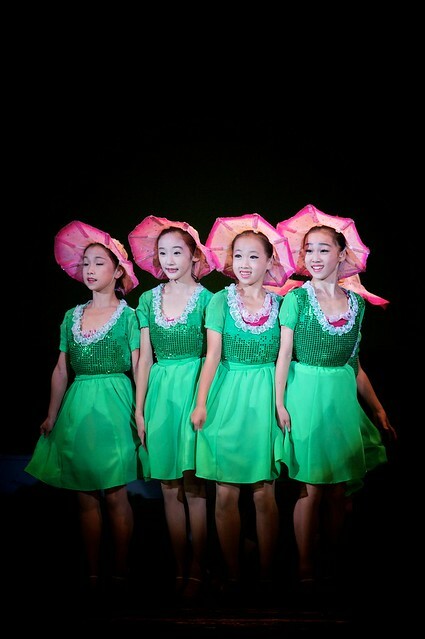 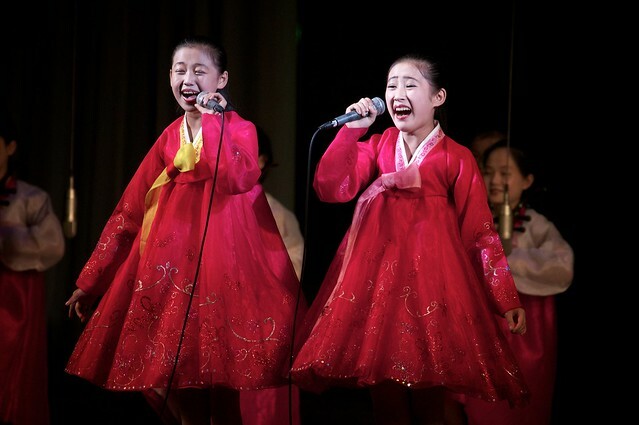 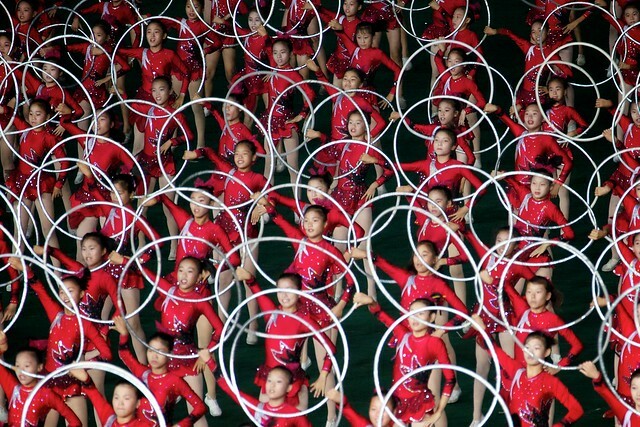 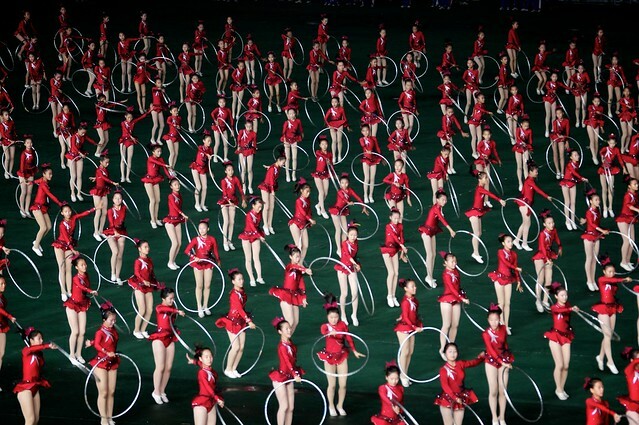 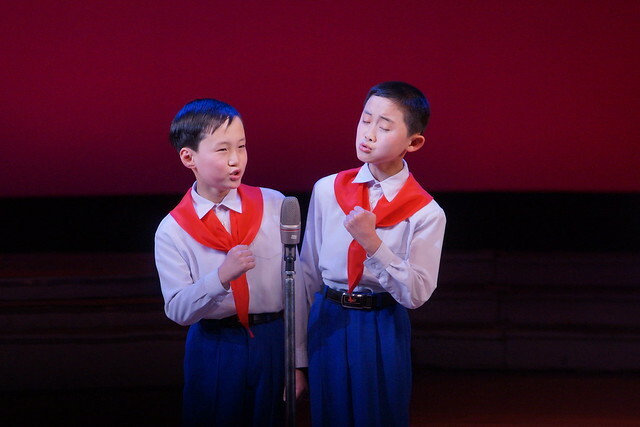 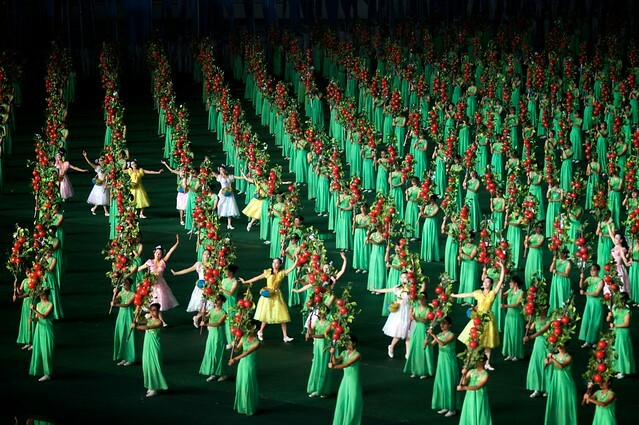 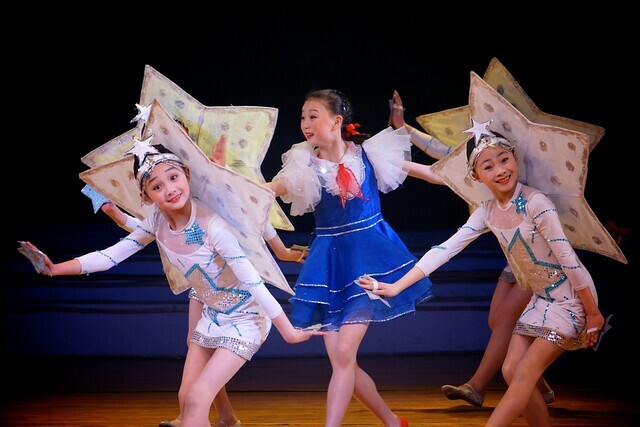 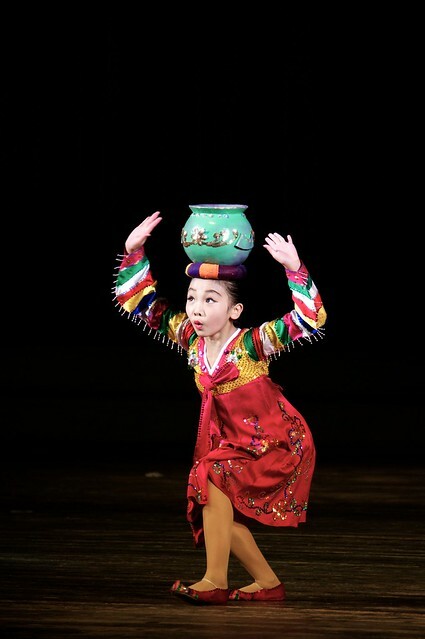 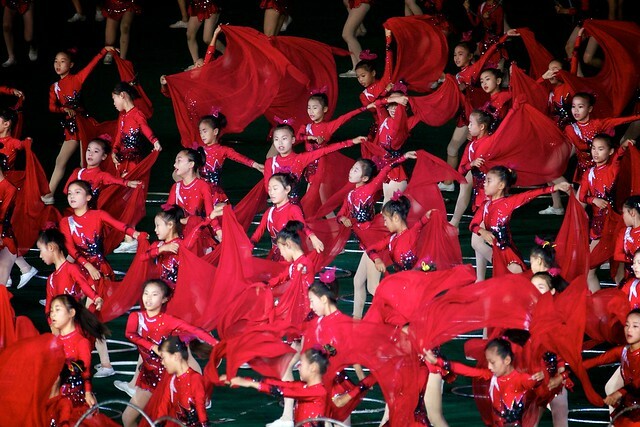 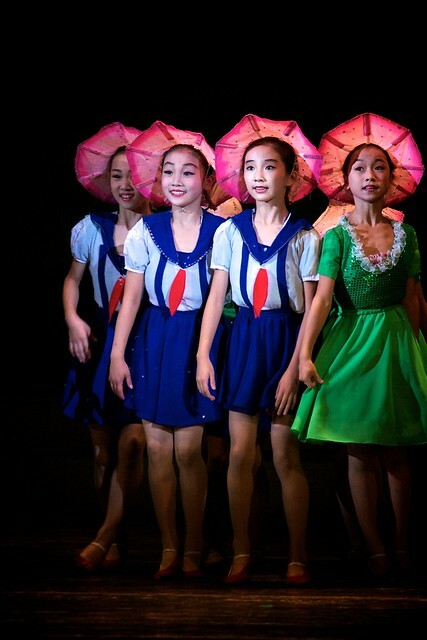 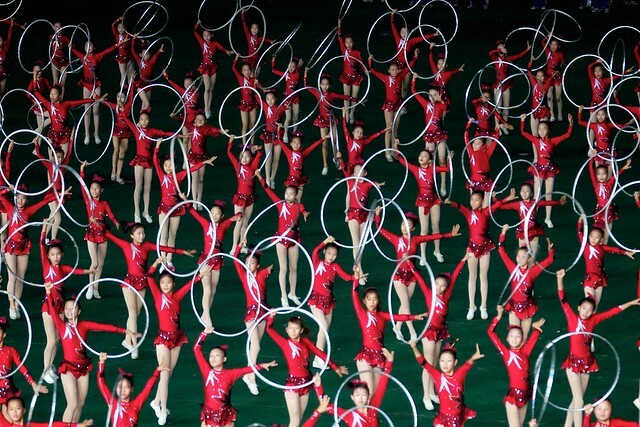 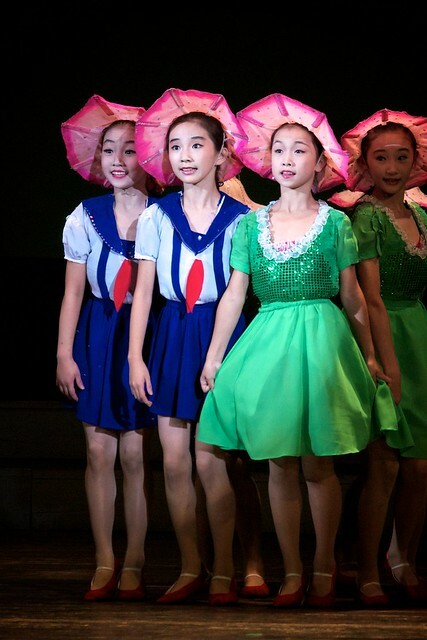 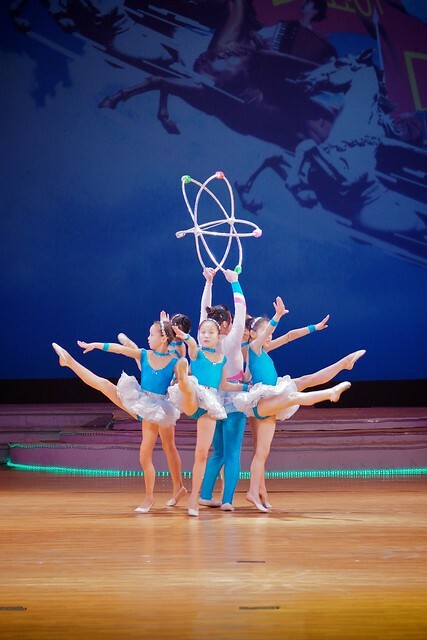 Young Pioneers sing a martial song during a special Kim Il-sung’s 100th birthday celebratory performance at the Mangyongdae Children’s Palace. 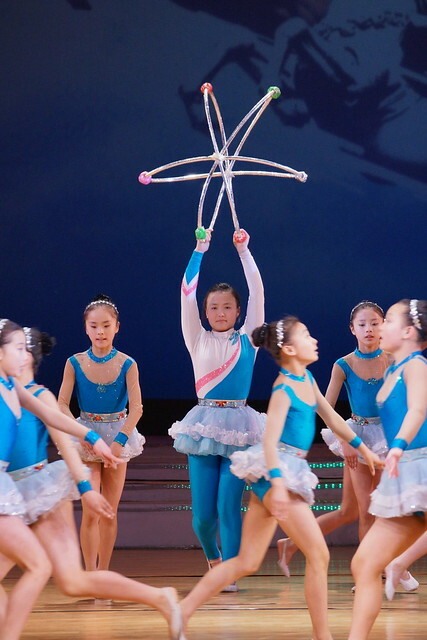 More pictures from this set linked below.